Our trendiest wine. 100% Garganega grapes aged in 1500-litre oak barrels for 10-12 months. Certainly our most original interpretation of Soave wine and all the more intriguing because of this. Softness and mineral content give a long finish you will never tire of. 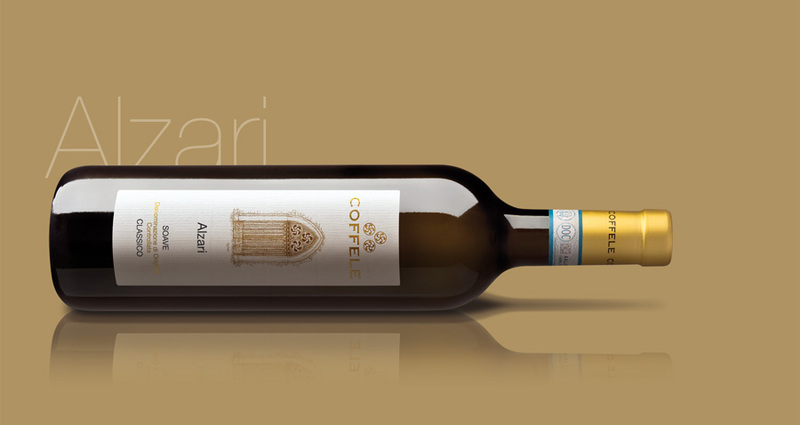 Exclusively from the “Alzari Alti” and “Alzari Bassi” (Upper and Lower Alzari) vineyards, located in Castelcerino, in the heart of the historic Soave Classico zone, at 150 meters (492 feet) above sea level. The nose is intriguing; it seduces by its gradual evolution in the glass. At first, it shows aromas of mountain herbs, green tea and mineral notes. Ripe Williams pear, dried fruits, toasted nuts, and honey unfold over the course of some minutes. We harvest throughout October, entirely by hand. To obtain the finest grapes possible, we pass through each vineyard several times, each time selecting only the ripest bunches. The grapes are harvested into small, 44-lb capacity bins, ensuring the bunches arrive at the press perfectly intact. 60% of the grapes are fermented immediately. The remaining 40% of the grapes undergo partial drying, called appassimento, for 40 days, which concentrates their sugars and flavours. Then they are fermented as well. Storage and ageing of wine happens in 1,500-litre oak barrels for 10 months. After bottling there follows a couple of months’ ageing in the bottle before the wine goes on sale. A dry wine that caresses the palate and offers volume and softness balanced by a distinct saltiness. Elegant and harmonious, with good structure, it has a pleasant length at the finish. Excellent with heavy soups, or with ripe cheeses of medium age. Try it with dark meat, such as guinea hen, in a hot or spiced sauce. Deep yellow with hints of gold.